By buying this product you can collect up to 20 points. Your cart will total 20 points that can be converted into a voucher of €0.20. The Joyetech ORNATE atomizer is supplied with the new MGS heads, in particular the MGS triple coil head with three distinct air flow channels. Each air channel correlates with the triple air flow inlets for a very low resistance absorption. 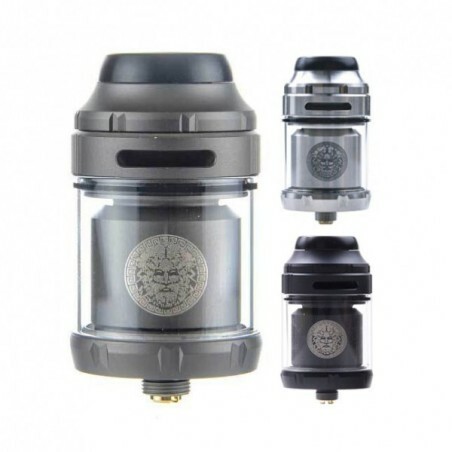 Its 25 mm diameter allows a tank capacity of 6ml. The Ornate dispenses a considerable vapor without loss of flavor.